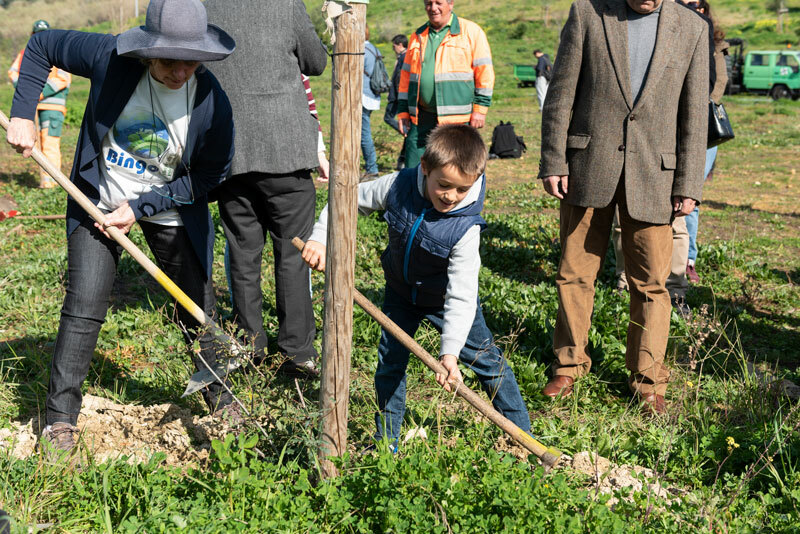 To begin the countdown to ECCA 2019, we planted 100 native trees in the Parque Urbano do Vale de Montanha – almond, elderberry and oak. 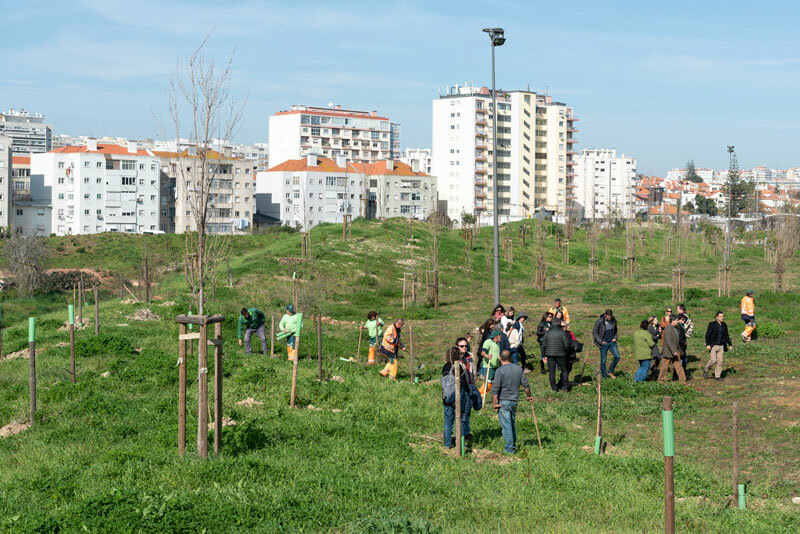 Urban woodland plays a dual role as both an adaptation and mitigation strategy, so we’re contributing trees to one of Lisbon’s newest parks. 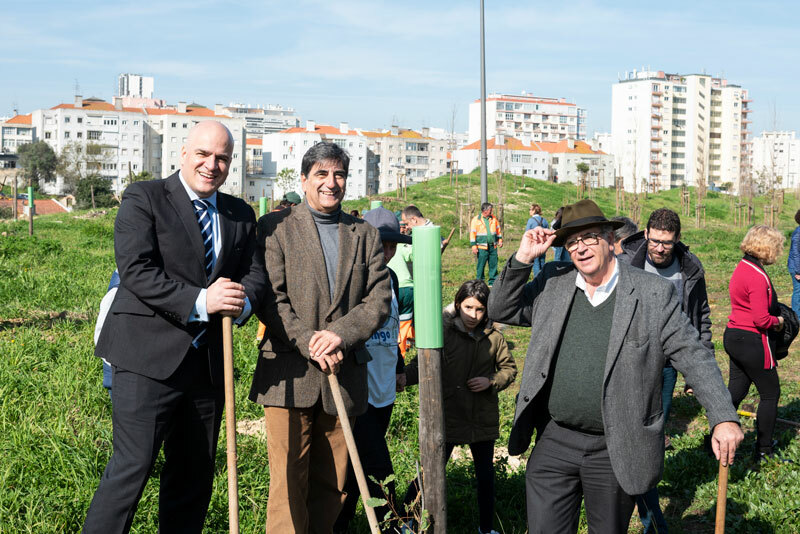 The ECCA 2019 Organising Committee was joined by José Sá Fernandes (Councillor for the Environment, Green Structure, Climate and Energy of the Lisbon City Council), Carlos Martins (Secretary of State for the Environment) and Diogo de Gusmão-Sørensen (European Commission representative for the Horizon 2020 projects) to celebrate the countdown to ECCA. 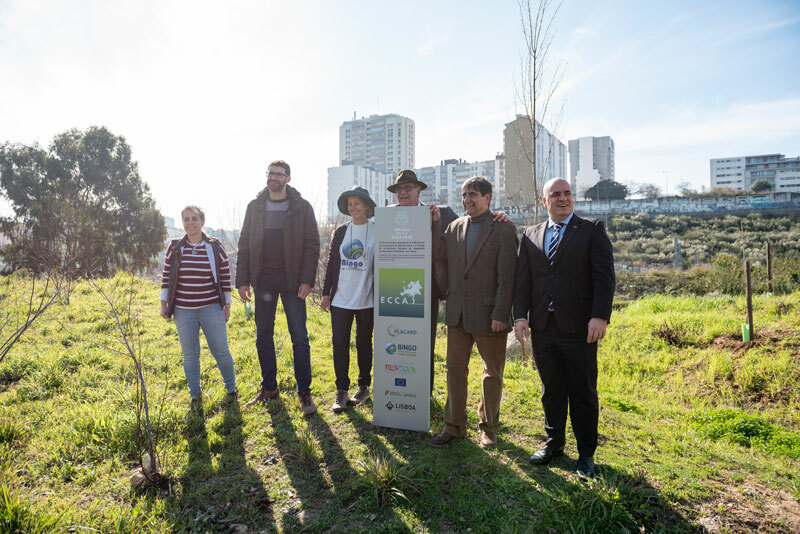 Photos courtesy of Lisbon City Hall. 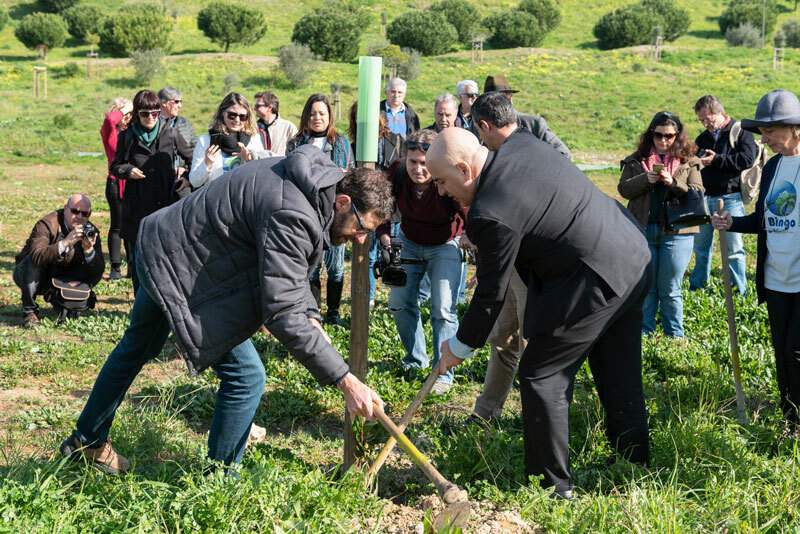 Our first press release introduces the conference and themes, and is available to download in English, Portuguese and Spanish. 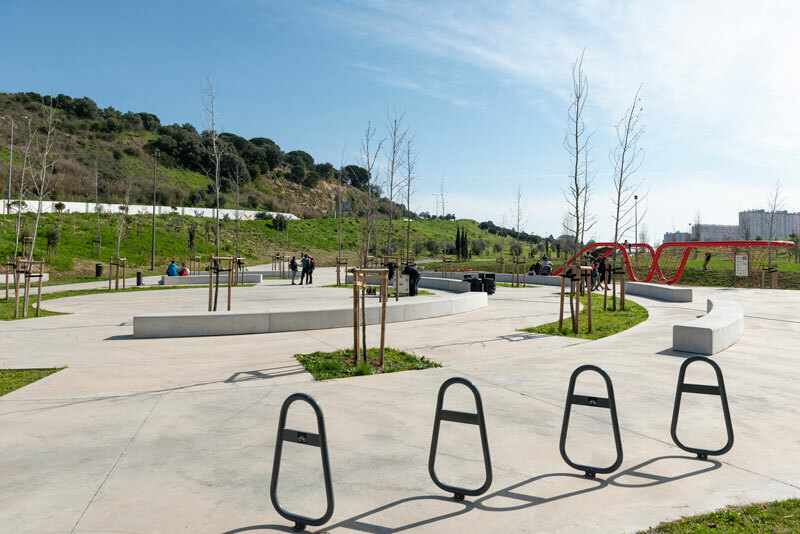 Check here for more information as the programme evolves! Why not promote your session with a blog? 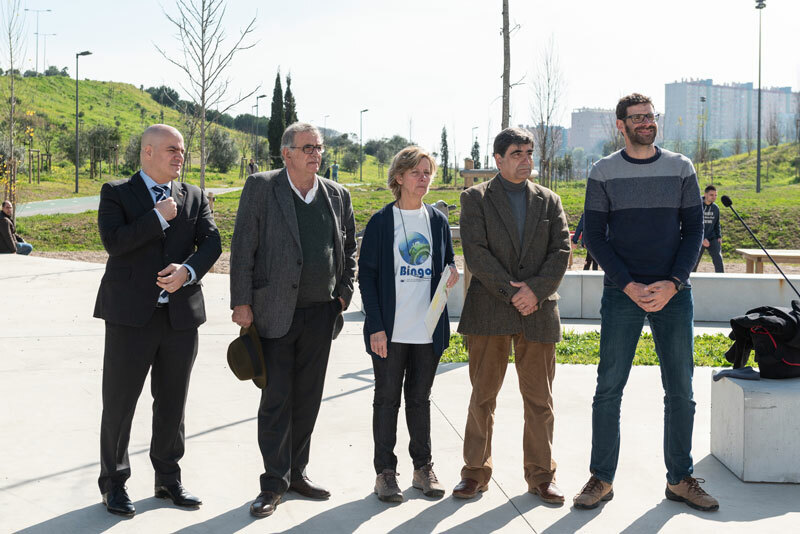 If you’re presenting at the conference, why not join the group of illustrious researchers and practitioners who have contributed to the ECCA blog. 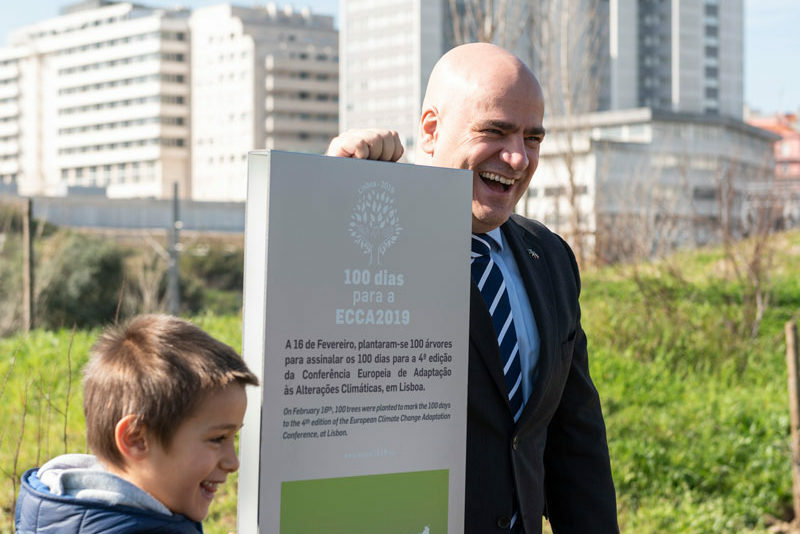 Commentary from the Councillor about ECCA 2019 on the segment Revista de Imprensa of TVI24, on February 17 2019 at 11:00. Please note the video is in Portuguese. 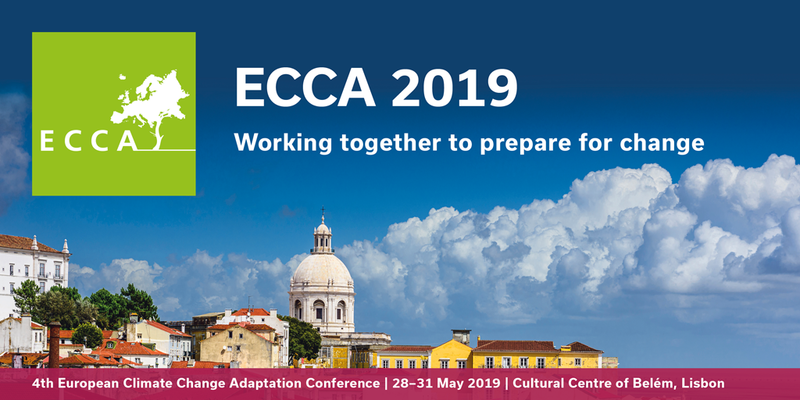 If you are tweeting about the conference, please use #ECCA2019 or @ECCA2019. If you’re looking for an image to use, try downloading one of the options below – simply right-click to save as.